It was a beautiful afternoon after days of raining cats & dogs here. Armed with my novel & a can of Coke & a bag of Lay’s Sour Cream & Onion Potato Chips, I decided to take a stroll & went to the poolside, a routine when I’m feeling stifled. The radiant rays of the afternoon sun filtered through the canopy of leaves, & the shimmering crystal clear water was like myriads of diamonds as the sun shone on it. I was greeted with tranquillity, not a single soul was in sight. Perfect! 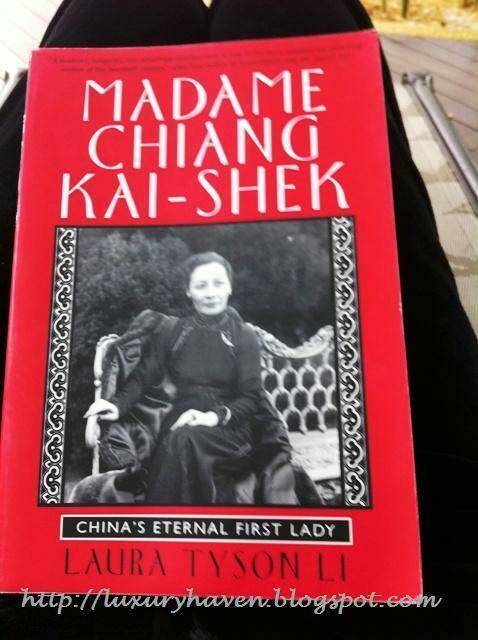 Madam Chiang Kai Shek, a woman in World history, was the youngest of the three famous Soong sisters; daughters of a wealthy banker who all married important men in early 20th-century China. I’d visited the Soong sisters’ Memorial Hall during one of my trips to China & I was impressed by their powerful background. Eldest sister Eling, popularly known as "the one who loved money”; Second sister Chingling married Chinese leader Sun Yat-sen & was known as "the one who loved China"; Chiang was "the one who loved power". They each played a major role in influencing their husbands, which, along with their own positions of power, ultimately changed the course of Chinese history. Although the novel's somewhat interesting, there're lots of dates & names, like I’m studying history back in school. I struggled to finish the book as quick as I could as I’m eager to lay my hands on my next – The Lost Symbol. Dan Brown is one of my fave authors & I’ve read all his books. I’ve waited for the paper back for a year now & finally got it. Hardcover books are really not meant for a languid person like me, I just don’t have the strength to hold it for long. Then again, I wonder where I get all the energy to carry my shopping bags. I’m really excited & can’t wait to start my new book. Has anyone of you read The Lost Symbol? Share with us some of the plots but wait, don’t divulge too much tho. I have not read this book but I did watch the movie. These days I read more cookbooks than anything :) The last book I completed was Wild Swans - three daughters of China by Jung Chang. 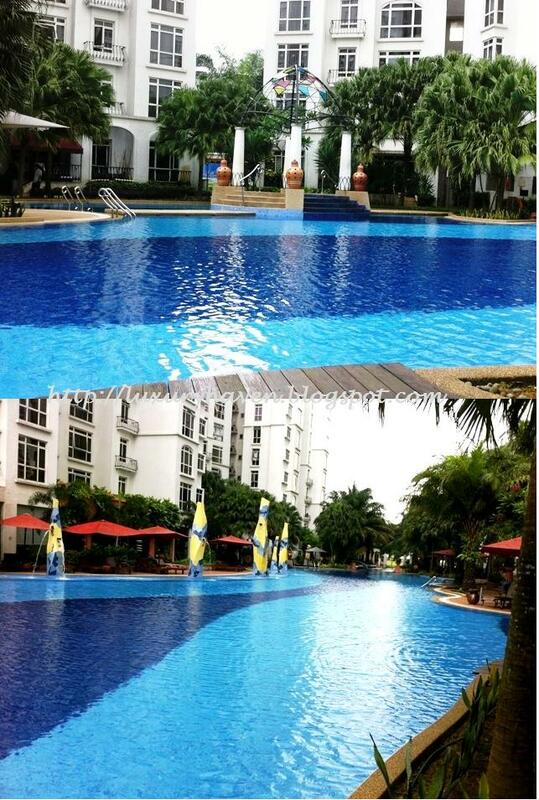 The pool looks so inviting! I have not read both the books here but I am reading Graceling by Kristin Cashore now. It is about a warrior-girl in her late teens with one blue eye and one green eye. This gives her haunting beauty, but also marks her as a Graceling. Gracelings are beings with special talents. This girl has the ability to fight & kill, if she wanted to. Good read. You have a lovely poolside and pool to enjoy - how lucky!!! Sounds like a wonderful leisurly day. You are quite the voracious reader. I still read a lot. However, most have to do with food. Biren, guess we're all into cookbooks :) Wild Swans?? Mmmm, I'm a Blackswan. Hahaha! Denise, I watch Nigela Lawson on TLC sometimes. Weird Sister sounds like my kinda book. I shall KIV. Thks for tip! Lazaro, should I say .... I've a blackbelt in reading too?? Hahaha! Hi Shirley, actually I have problems getting in here for the past few days. Finally, thing goes well today. I prefer to watch movie than readings except magazines & cookbooks. Haha... Flipping the pages make me feel very sleepy.lol! I have to agreed with you that the Soong sisters are such remarkable ladies! They were so daring and I am really proud of them.